India International Fashion Jewellery & Accessories Show - Hyderabad will be held on Feb 22-24 at Hitex Exhibition Center. Asia’s largest & oldest fashion & imitation jewellery trade show now in Hyderabad ! 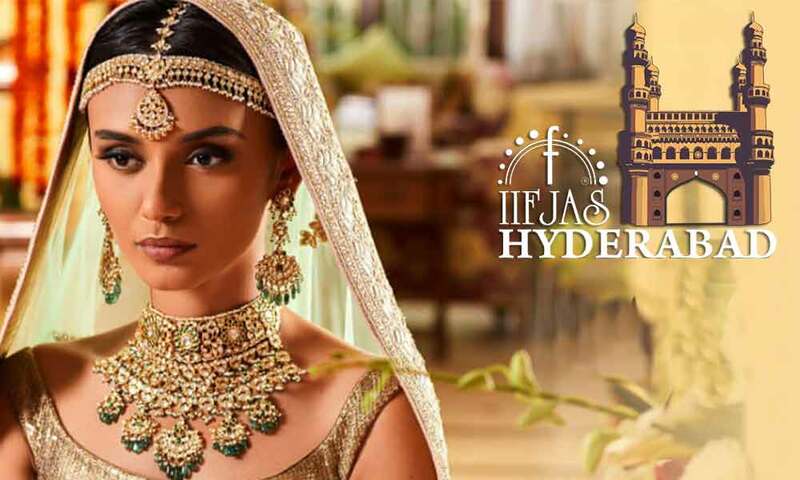 to be scheduled from 22nd – 24 February 2019, Hitex Center, Hyderabad We Welcome you all to the Hyderabad Edition of India international fashion jewellery & accessories show, where India’s finest fashion, pearl & imitation jewellery, innovations & craftsmanship, all come together to create an extraordinary show. A three-day grandeur for India’s best fashion jewellery suppliers & designers to showcase their most exclusive & latest pieces & a perfect destination for trade buyers from all across India to exchange business! The India International Fashion Jewellery & Accessories Show is notably known as the Face Of The Fashion & Costume Jewellery Industry in India. Nick-named as the Official Platform of the industry, IIFJAS has travelled a remarkable journey of 12 Years as the largest & oldest trade exhibition in India for Fashion Jewellery.